The insanity that is Austin’s South by Southwest festival kicks into high gear this week, and you better believe Paste, along with our pals at Daytrotter, will be there to live-stream sessions from more than a few of your favorite artists. As of this writing, we have a whopping 37 performances lined up at ATX’s Same Sky Productions, and you get a front row seat to each and every one via Facebook Live. Find our complete streaming schedule below—keeping in mind that these set times are subject to change—and enjoy Paste Cloud music from just a few of the artists we’ll be linking up with: Mothers, Bonnie Bishop and Diet Cig. Last but not least, watch this space for updates in the coming days—we may have even more music for you. Update Notes: James Chance & The Contortions canceled Wednesday, March 15, replaced by Before The Brave. 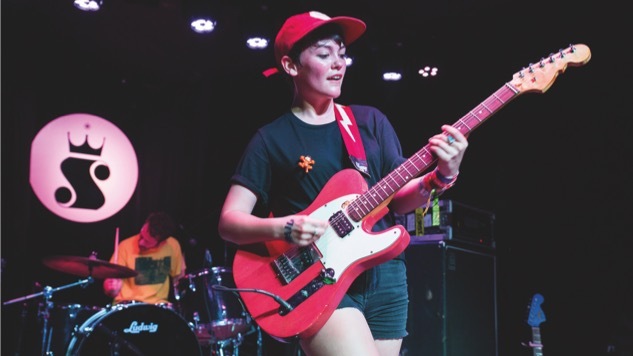 Tancred canceled Wednesday, March 15. Mega Bog added Sunday, March 19. Blackfoot Gypsies added Wednesday, March 15. San Fermin canceled Thursday, March 16. Ron Gallo moved up to 2 p.m. EST, Thursday, March 16. Naked Giants added Thursday, March 16. Communist Daughter added Saturday, March 18. The Regrettes canceled Saturday, March 18. Jacob Banks added Saturday, March 18. White Reaper canceled Sunday, March 19. Born Cages added Sunday, March 19.